It’s longer than a Galaxy, but shorter than a Mondeo estate. 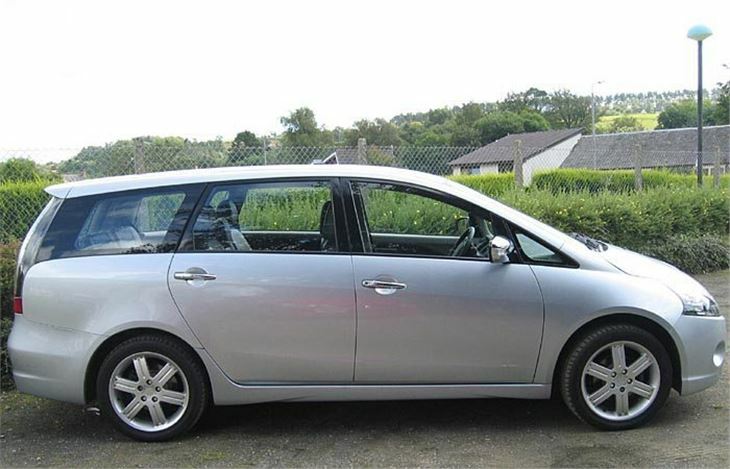 So the Mitsubishi Grandis DI-D is a big MPV, a class above the excellent Mazda 5 and head to head against the Toyota Avensis Verso rather then the Corolla Verso. It looks really good. Long and sleek, rather than tall and boxy. 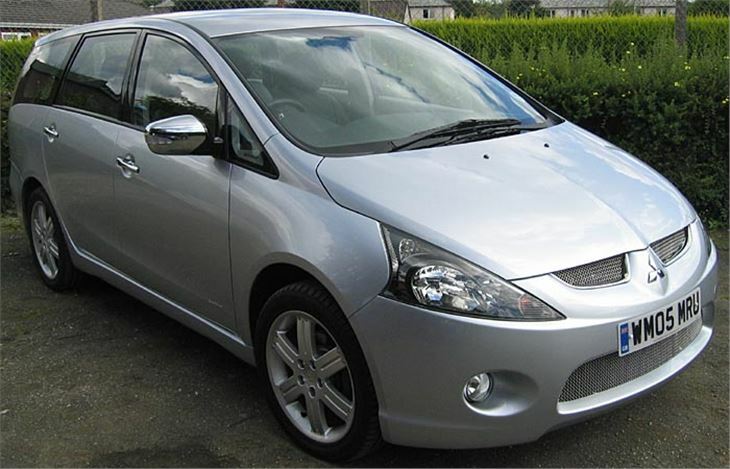 One of the few MPVs you might consider on appearance alone. The practicalities are pretty good too. Like the outgoing Space Wagon, it has a ‘slide across’ cab. The gearshift sprouts from the dash, but unlike the Galaxy and C-Max there’s no Ford console to lift your legs over so you can easily slide over and get out of the front passenger door. 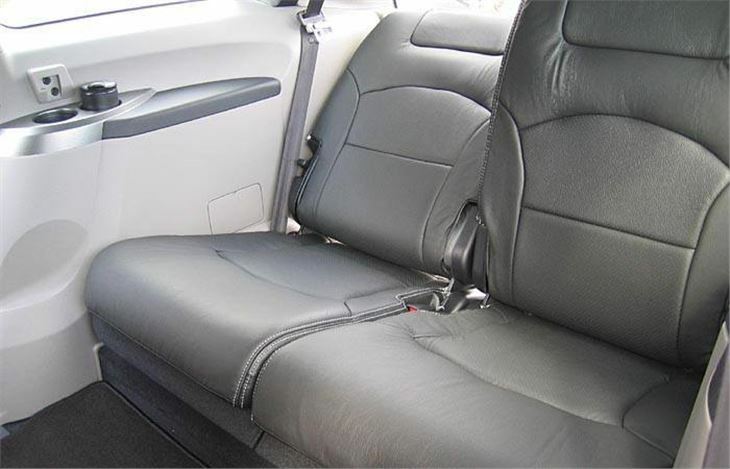 The rearmost seats, dubbed ‘Hide and Seat’ by Mitsubishi are full of tricks. You can flip them up out of a well that then leaves space for luggage, Honda Shuttle style. 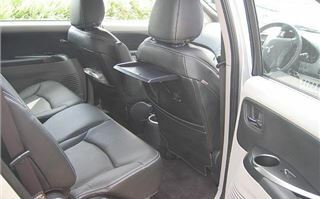 But they can also be folded to provide a pair of spectator seats under the hatchback for British sporting events when it rains. No backbreaking job, either. The seats are cleverly counterbalanced so all of this is relatively effortless. 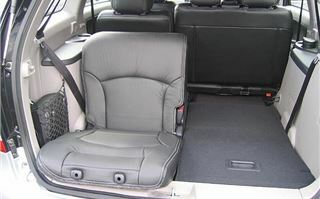 When facing forwards, there’s toe room under the seats in front and with a bit of co-operation from their occupants, they can be slid forward a bit to give more legroom. And the backrests of the rearmost seats recline, so they are far from the 3rd class 6th and 7th dwarf perches of some 7-seaters. 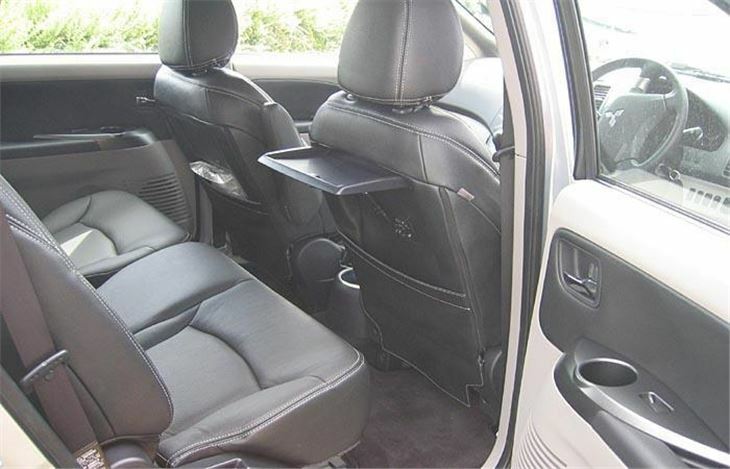 Access to the rearmost seats is good because the centre row slides all the way forward. But the side doors aren’t slide doors. They open conventionally. With VAG’s 134bhp 2.0 TDI pumpe duse engine hauling 1,710 kilograms, performance isn’t scintillating. But it’s not slow either. 0-60 in 10.5 seconds and 121mph top speed are a fair bit quicker than the average bus. 6 speeds keep the engine on the boil. And it doesn’t display any of the unruly sudden delivery of maximum torque that can spin the front wheels of some lighter VAG cars. Obviously you can’t step out of an EVI IX FQ340 and expect the same sort of handling from a Grandis. But actually a low centre of gravity keeps roll understeer (the enemy of most MPVs) well under control. The steering has reasonable feel, too. So though it’s not as agile as a Mazda 6, it’s pretty good and doesn’t chuck any custard pies at you half way round a corner. Not exactly cheap, though. 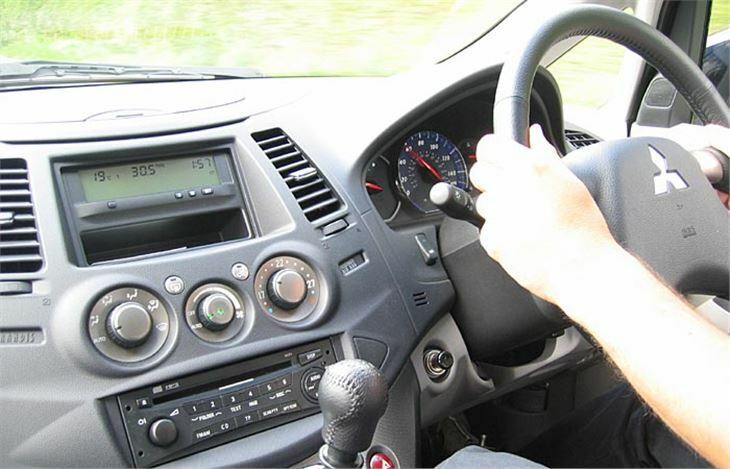 With a starter price of £19,699, rising to £23,699 for the DVD equipped Warrior we were in, the Grandis is up there in Espace, Previa and Voyager territory. 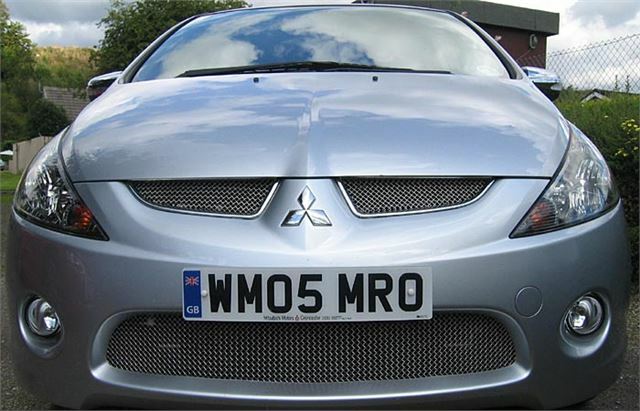 But it’s far more carlike than any of these. 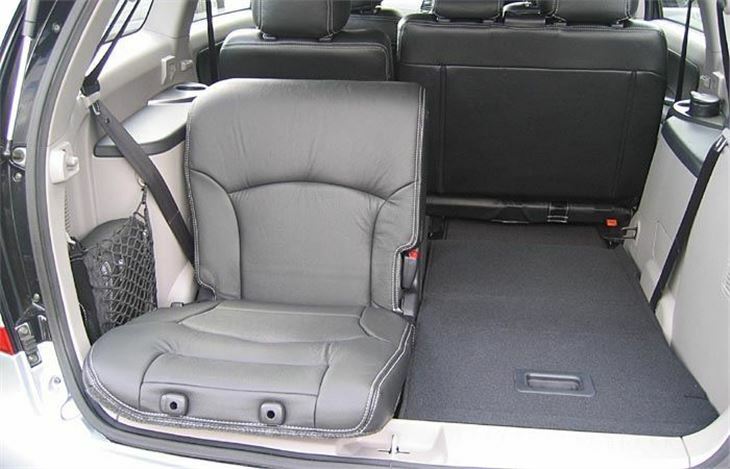 And by proving that a 7 seater with luggage space doesn’t have to look or drive like a minibus, it deserves a place on any large family’s list.